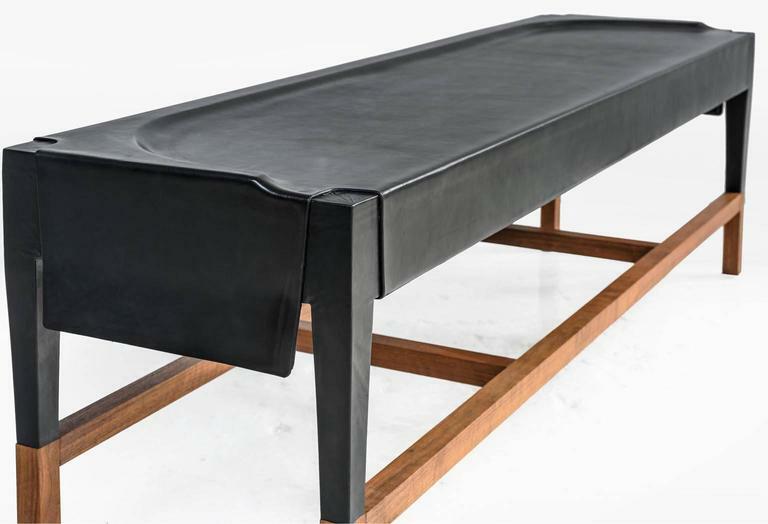 The centuries old process of forming water saturated leather hide over a wood frame forms the essence of the Cassius bench, which is then exposed at the base to reveal co-planar, walnut legs. 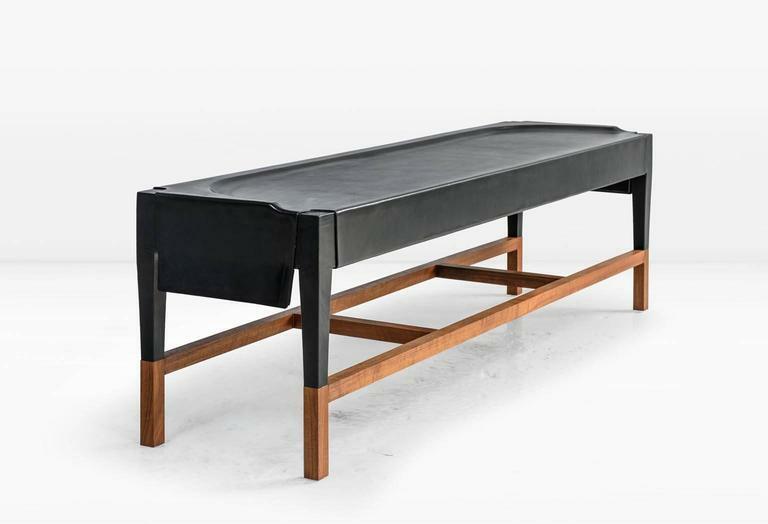 Shown in black leather with a solid American black walnut base. Also available with fumed white oak base and in other leather colors. Designed and built by KGBL. Made to order. Please specify quantity. Customers can choose from:\n-Molded Leather Options\n Black (as shown)\n Brown\n Chestnut\n Cream\n Russet \n-Wood\n American Black Walnut (as shown)\n Fumed White Oak\nCustom sizes available. Fußbank aus geöltem Walnussholz Mid-Century Modern Vinyl-Polsterbank im Stil von Jens Risom. Bank mit dünnem Gestell aus Chrom und Leder von Steelcase. 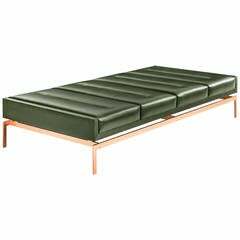 Unusual carved and applied wood decoration bench with a tufted upholstered top in faux patent leather. Nice size.